Future decades will probably characterise this period as one of high-concept, metatextual and self-referential ideas which are quite funny in the moment but may be of limited shelf-life. 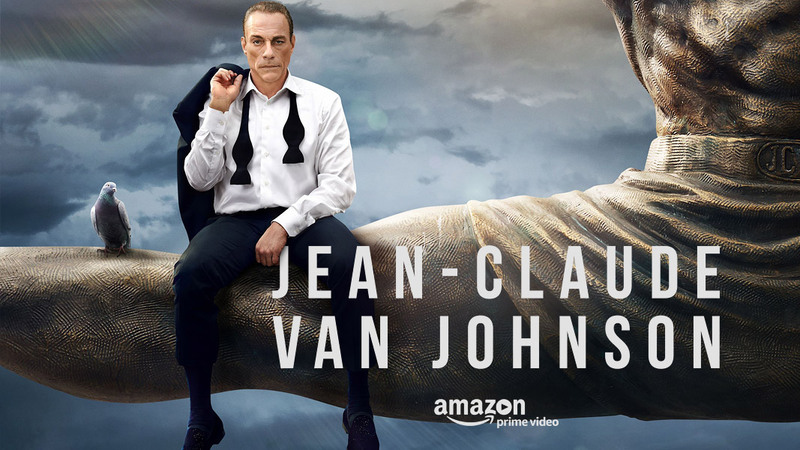 In the case of this TV show, the pitch writes itself: Jean-Claude Van Damme is a real secret agent who defeats bad guys whilst posing as an actor. It's silly, it's camp and it's meta. Deadpool would approve. Riffing off some of the same ideas as the 2008 movie JCVD (which featured Van Damme as another fictionalised, searingly self-deprecating version of himself), this is an amusing series which works much better if you remember Van Damme's inexplicable period of superstardom in the 1990s. If you don't, it may come across as a bit more random. Rounding out the rest of the well-performing cast is Kat Foster as Van Damme's sort-of love interest, Vanessa, and Moises Arias as Luis, a fellow operative and retired member of a Mexican drug cartel. The season-long arc seems them investigating a criminal enterprise in Bulgaria whilst Van Damme poses as the lead actor of an elaborate sci-fi remake of Huckleberry Finn. Taking down the criminal gang leads Van Damme to blow up a an entire oil refinery, meet a hunchbacked doppelganger of himself, kill a lot of bad guys and (after adjusting for age a bit) doing his trademarked splits several times. Also, somewhat oddly, the question of whether Timecop or Looper is the better time travel movie pops up several times. It's all rather breathless - at six half-hour episodes this is hardly a series that outstays its welcome - and when it works, it's quite good fun. The main problem with the series is one of tone. The show can never quite work out what tone it's going for. Quite gory scenes sit uneasily alongside psychological deep-delves into the fictional Van Damme's childhood in an orphanage, his only refuge being a fantasy world in which he's raised by a kindly grandpa on an emu farm. A few minutes later Van Damme is driving a car round a racetrack blindfolded, causing a bad guy to crash and set fire to himself and another bad guy to commit suicide (it's not completely clear why). Slapstick scenes where Van Damme falls over in an amusing fashion sit alongside Luis having an intense (and not-at-all funny) to a murder spree on behalf of his cartel. One second it's dramatic, the next intensely dramatic and the next extremely camp. The on-set comedy antics of Van Damme starring in a film revolving around a magic paintbrush directed by an arrogant lunatic are much more promising, and this is where some of the best jokes emerge, but it takes up a relatively small part of the show. Jean-Claude Van Johnson (***) is an odd show which is, in the main and especially for those thirty and forty-somethings who remember Van Damme's heyday, amusing and entertaining but non-essential. By the time the six episodes are over, the jokes have worn a little thin and Van Damme's limited range has been fully explored and extended. Worth watching? Sure. It's only six episodes, there won't be any more and it may raise a few chuckles. Otherwise, it ultimately skippable. Disney and Star Wars: An Empire in Peril?